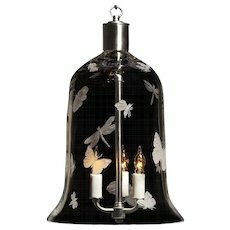 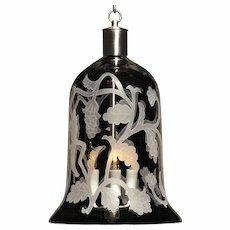 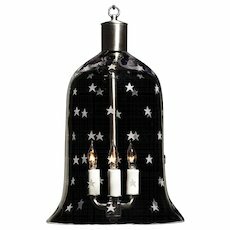 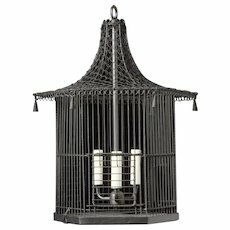 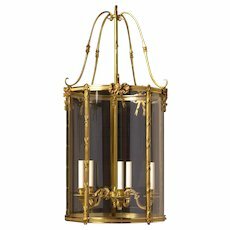 "TENDE" Black and gilded iron three light lantern. 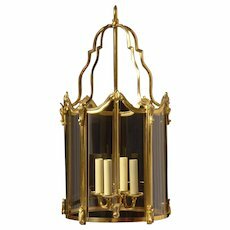 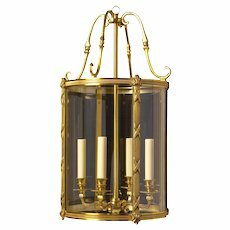 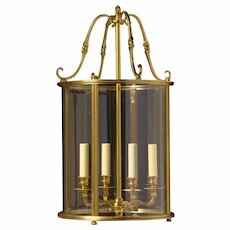 LOUIS XVI Style gilded iron four light lantern. 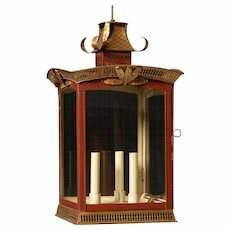 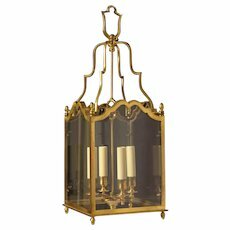 LOUIS XV Style gilded bronze square four light lantern, antique finish. 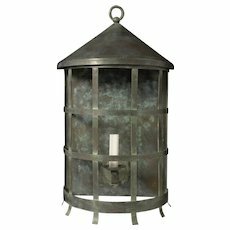 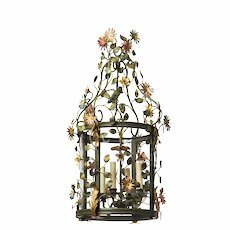 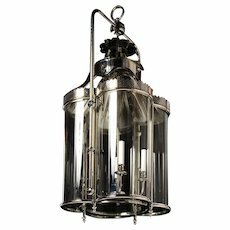 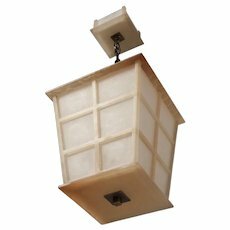 Whitewashed iron four light lantern. 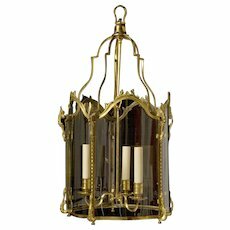 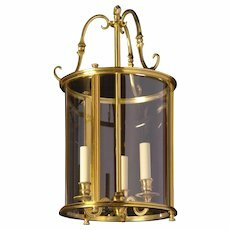 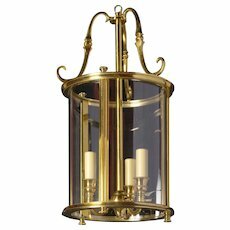 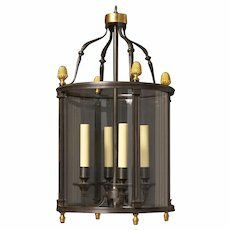 "WEXFORD" Nickeled brass four light lantern with curved glass panels. 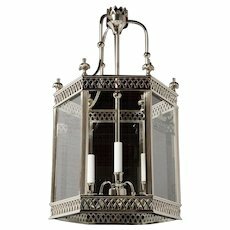 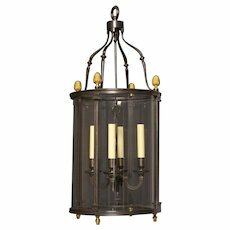 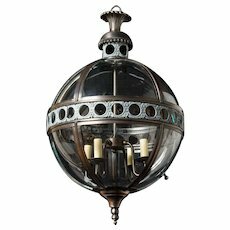 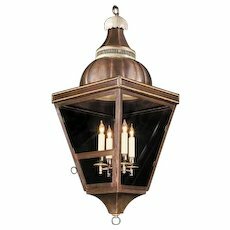 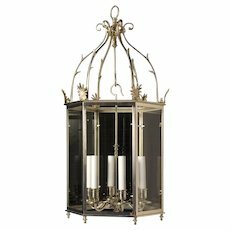 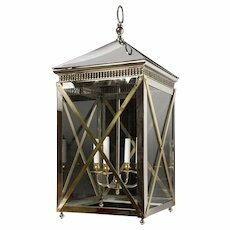 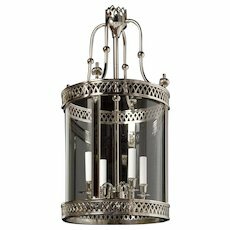 LOUIS XVI Style silvered bronze lantern, six lights. 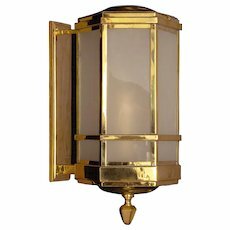 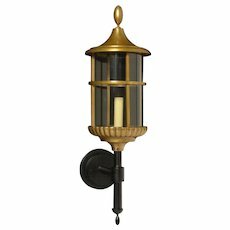 DUTCH Style brass hexagonal lantern, three lights. 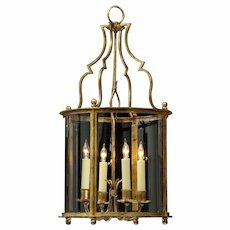 Gilded bronze and crystal bell lantern, three lights. 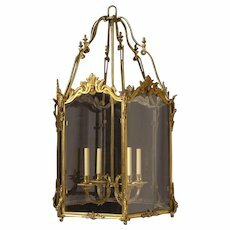 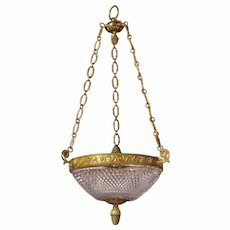 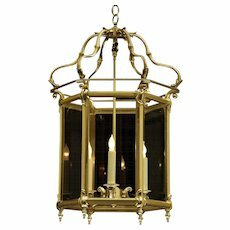 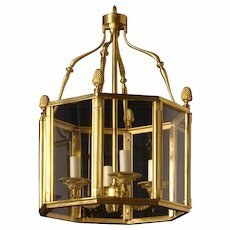 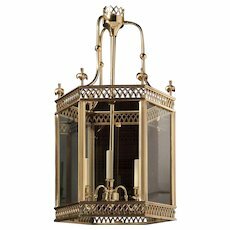 LOUIS XVI Style gilded bronze four light hexagonal lantern. 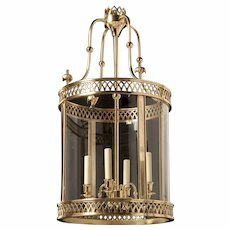 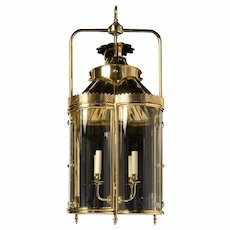 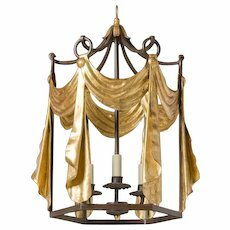 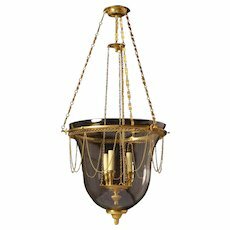 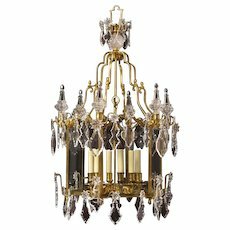 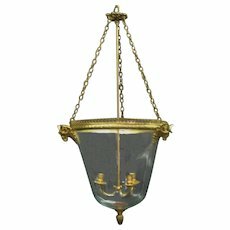 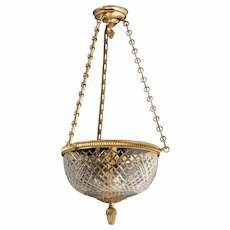 LOUIS XVI Style gunmetal and gilded bronze four light lantern. 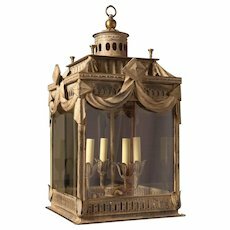 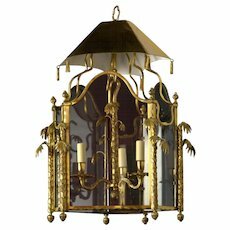 LOUIS XV Style gilded bronze four light lantern. 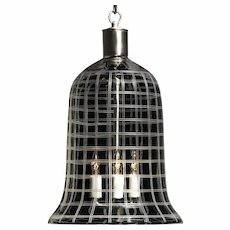 "PLAID" crystal bell shaped three light lantern jar. 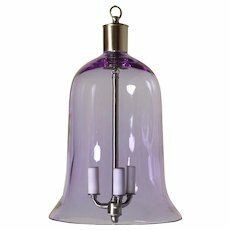 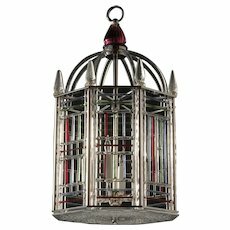 "AMERICANA" crystal bell shaped three light lantern.